Warm weather has arrived, and along with the sunny weather often comes a to-do list of projects. If you have been looking for a project to work on this year, why not build a pond? We will get to the “how-to” in a moment, but first let’s explore the many benefits of a pond. Beauty, after all, isn’t the only benefit of a pond. Various species of wildlife benefit from ponds, even a small one. Ponds attract beneficial insects, serve as a water source for different animals, and can act as a haven for various amphibians and small reptiles. Birds love to have a clean source of bathing water, especially if you have a tempting waterfall feature. Many species of amphibians are declining in population, especially in urban areas where pollutants containment water sources. You can help support these animals and offer a place for them to reproduce, even in a small pond. Visit any pond and you will see various flying insects around, such as damselflies and dragonflies. These insects, as well as many others, will help control pest insects like mosquitoes. It’s somewhat of a misconception that ponds equal mosquito problems. Rather, it’s poorly managed ponds that are a problem. Take measures to prevent mosquitoes in your pond and your predatory insect friends will help control the rest. Mosquito larvae will be eaten by the larvae of these beneficial predatory insects. And don’t forget that having a pond will attract frogs and toads, both of which will further keep mosquito populations down. Ponds are ideal as a source of water in an emergency. You will need to properly sterilize the water prior to drinking and, depending on the size and type of your pond, it may not be a permanent source of water. 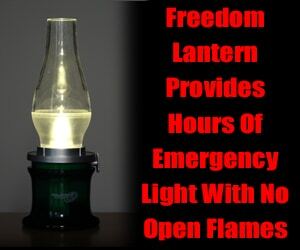 But it will still help in an emergency/survival situation. You can increase the variety of foods on your table with a pond. Raising fish is often the most popular choice, naturally. The type of fish you can raise will depend on your location. For example, warm climates could raise tilapia while those in cool climates will be better off with bass or crappies. Aside from fish, you also can grow edibles like rice, watercress, water chestnuts and cattails. The majority of these edibles will grow very well in a healthy pond without requiring any labor from you. Fertilizer from your pond can come in the form of green fertilizer and liquid fertilizer. Natural algae and other plants often work very well as a green manure, much like how you’d use cover crops. You can use the water from a large pond that has a healthy population of fish and plants to fertilize your garden beds and potted plants. What Type of Pond Should I Build? There are a few different ways of creating a pond, but when it comes to a backyard pond there are two main options: pre-formed plastic pond liners and flexible pond linings. Pre-formed pond liners are a rigid piece of plastic – think of a kiddie pool – which you set into the ground or use above ground. You can order these liners online or find them at construction stores. Pre-formed liners are easy to use but you are limited in terms of shape, length and width. Flexible plastic lining comes in large rolls and various sizes in thickness, depending on what the pond will be used for. The great thing about using flexible lining is that you have virtually no limits for the shape and size of the pond. These liners are also less expensive but will require someone else or multiple people helping you. Overall, flexible plastic lining is the ideal choice for large ponds or those who have a very specific shape of pond in mind. Pre-formed pond liners are a good choice for someone who wants a micro- to small-sized pond. There are alternatives to pre-formed liners and plastic linings. For example, if you only want a small pond, you can sink a stock tank into the ground. Some people who have a heavy clay soil may be able to get away with not using a pond liner at all. Similarly, if you have good soil just adding more clay can help. How much sun will the pond get? Ideally, a pond will get partial sun — roughly eight hours a day. Is the ground flat or sloped? Either works, but a pond on a slope will give you the best opportunity to do features. Do you want to add water features like a cascade? Take these into account and whether you’ll need/want pumps to move water. What is the soil like in the area? Even if you’re using pond lining, a heavier soil with a lot of clay will keep the shape better than sandy soil. For large ponds in rural areas, do you have to worry about large mammals walking in the pond? Moose, deer, elk and livestock like cattle may walk through the pond and tear/puncture the pond lining. Be sure to choose the heaviest lining possible. How deep do you need the pond to be? Any pond should be an absolute minimum of 18 inches deep. Keep in mind that if you plan to overwinter fish you will need more depth, especially if you’re in a cold climate where the water will freeze. If you experience freezing temperatures, you will need a minimum depth of 3 feet just for medium-sized koi to survive. Digging out a pond is done either by hand or with earth-moving equipment. If you are planning on digging it by hand, be forewarned that it’s probably going to be much more difficult than you think. If you’re planning a small pond that isn’t very deep and you’re in good shape, go ahead and use a shovel. There is something very rewarding about digging a pond by hand. Deep ponds that are medium or large in nature will require earth-moving equipment. If you have experience, you can rent a CAT or similar equipment. If you have no experience, it is best to hire someone – especially if you are planning a very deep pond. You also need to take into account where all that dirt is going to go. For large ponds, you will need to use a backhoe to move the dirt. Be careful if you happen to live in an area that requires permits to build a pond or if you plan to divert a local creek into your pond. Always check your local laws just to be sure. If you are planning a large pond, I highly recommend checking out these websites and books for more information. These resources also will be useful for those who are building a small pond in their city backyard, though some of the content may not apply to your exact situation. Feel free to write your experiences with building ponds, or simply share your own ideas for your future pond in the section below!